of math expression specified by formula. The formula natural view rendering is possible due to the latex string generated by program:. "AnEasyCalc" has been tested in the Softpedia labs using several industry-leading security solutions and found to be completely clean of adware/spyware components. this action allows you to get your user_id key from the installed on your PC demo. so click "Download free demo version" link to install demo if you did not do that already. 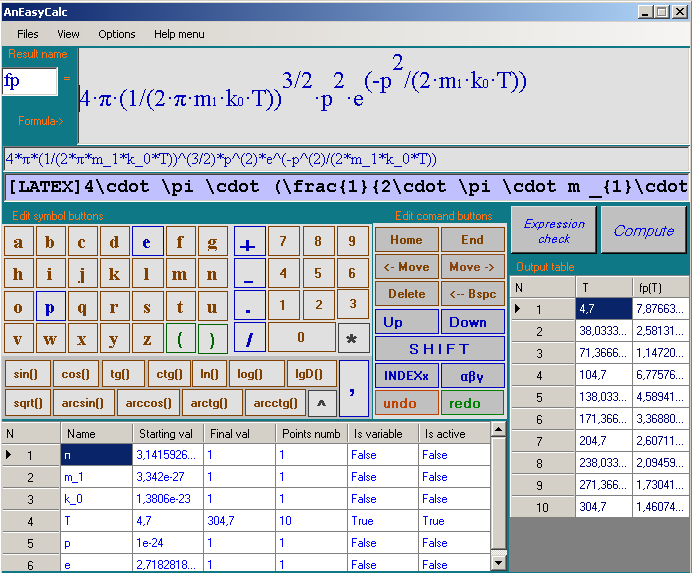 Note: This program shows the math formula view and will be useful itself or as an addition to an AnEasyCalc program.